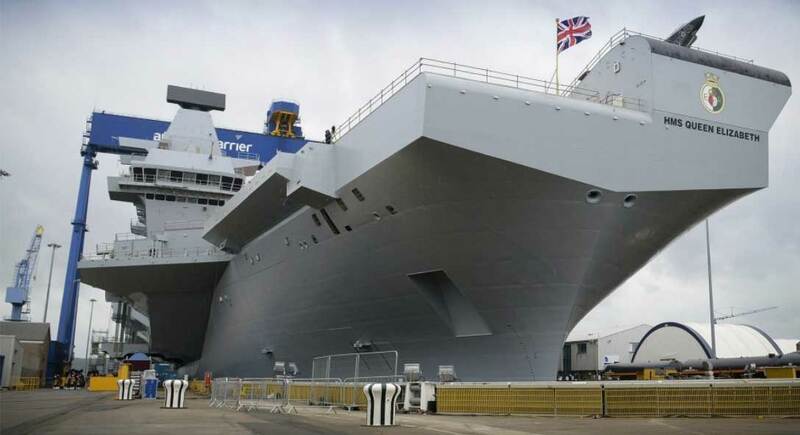 Thales has secured a seven-year contract worth £100 million to provide through-life support for Royal Navy communications systems, including those used on the new Queen Elizabeth Class (QEC) aircraft carriers. Thales will be responsible for maintaining, supporting and managing through-life the Royal Navy’s communications systems across the majority of the Fleet’s platforms, from the systems on board the new QEC aircraft carriers and the Type 45 Destroyers, through to older systems such as those on Landing Platform Dock. The systems fitted to the QEC aircraft carriers, and supported under this contract, enable the ship’s company to talk to each other within the vessel, its aircraft, the rest of the Navy and associated task groups, allies, civilian vessels and air traffic, securely anywhere in the world. Without these systems being operational, vessels cannot go to sea. The contract secures around 40 jobs at Thales in the UK at Crawley, Portsmouth, Plymouth and Bristol and involves in excess of 40 UK companies across the associated global supply chain.